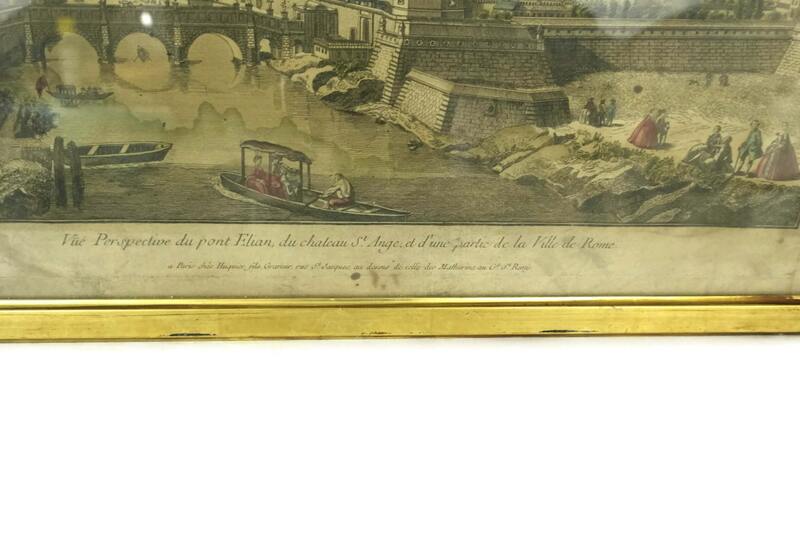 A magnificent French antique framed engraving dating to the 18th Century. 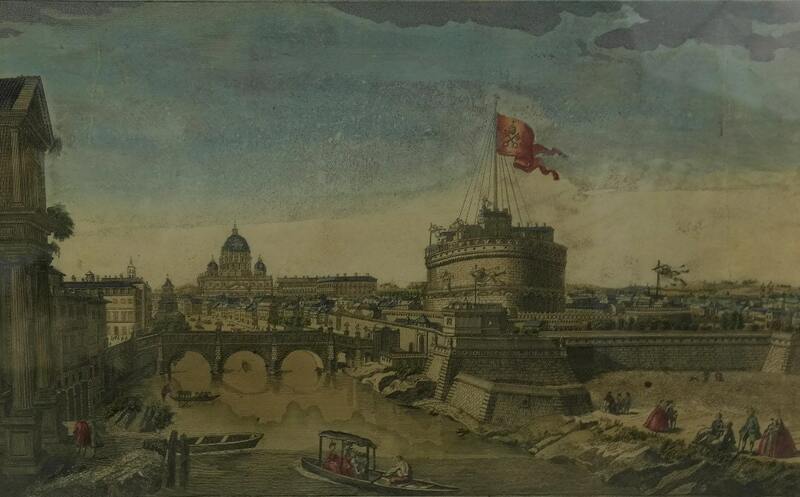 The French engraving is entitled "A Perspective View of the Castle of St. Angelo & Elian Bridge with part of the City of Rome". 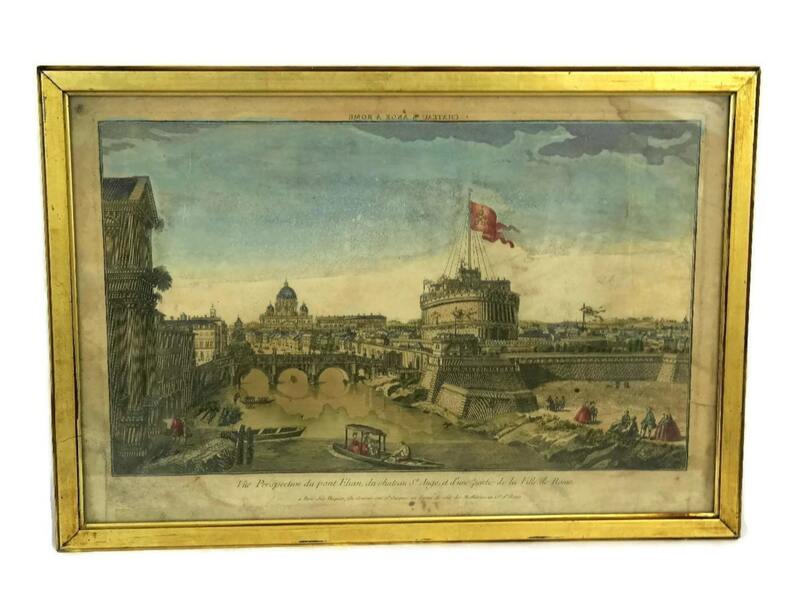 It has been printed with a copper plate on paper and delicately hand colored with aquarelles.
" a Paris chés Huquier fils Graveur, rue St. Jacques, au dessus de celle des Mathurins, au Gd. St. Remy". 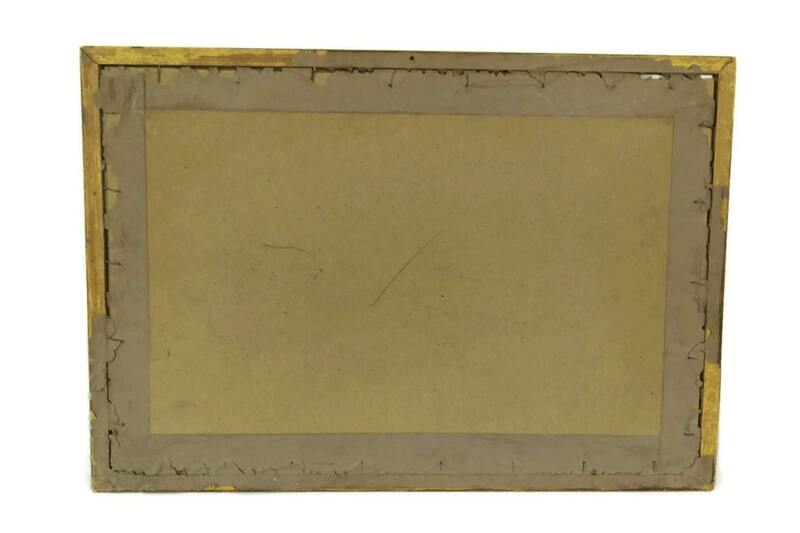 The engraving has been framed under glass in a gold leaved wooden frame. 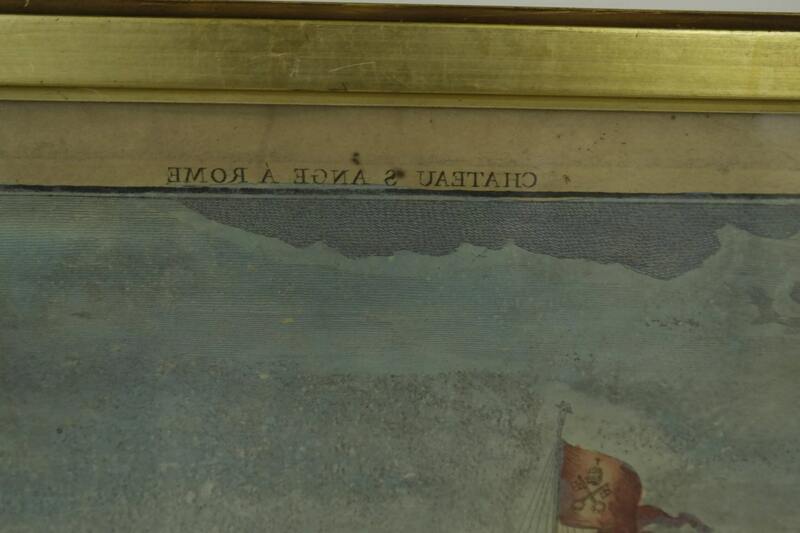 The engraved print is in good condition with some signs of age and wear including areas of discolouration and some light creases and tears.